As a way to celebrate the legacy of comic book artist and legend Jerry Robinson, whose death we reported a few days ago, it only seemed fitting to go back and recount great, or should I more appropriately say memorable, moments and events that related to or were caused by Robinson's greatest creation, The Joker. Known universally as Batman's arch enemy, The Joker has a been a staple of comic books, movies, television and the pop culture universe for decades now. Over the course of his run, he's run the gamut from deranged murderer to merry prankster. Here's a look back at The Joker, in various incarnations, and the moments that defined him and, unfortunately, others as well. 10. 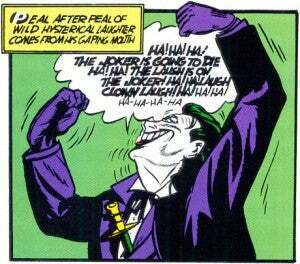 The Joker's First Appearance: Perhaps a bit obvious, but how could we NOT address this one?? 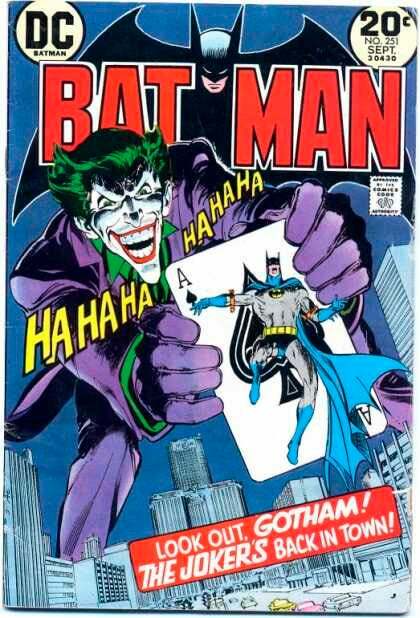 The Joker first appeared in one of the most landmark issues in comic book history, Batman #1. In the early days of his run, The Joker was a murderous psychopath, and it was in those formative years that The Joker's trademark "grin" was left on the faces of his victims, with his signature Joker venom becoming a staple of the character even to this day. In an ironic move, Joker was supposed to be killed off early on, but a last minute addition to the issue saved him from comic book obscurity. It was in these early pages and drawings by the classic team of Bob Kane, Bill Finger and Jerry Robinson that the character had his genesis, and it would be a crime to leave this out! 9. The Joker's Death in Batman Beyond: Return of the Joker: Perhaps this will never happen in the regular DC universe, but The Joker died, came back and then went away again in this futuristic version of the Batman legend. Perhaps one of the best parts of this film that sees the Joker come back to plague Bruce Wayne and new Batman Terry McGinnis is the flashback to the fateful night that Joker's life ended. In a harrowing scene, Commissioner Barbara Gordon recounts the night that she, as Batgirl, and Batman went to confront Joker and Harley Quinn. The duo kidnapped then Robin, Tim Drake, and subjected him to torture that resulted in the young boy resembling the Joker and Joker learning Batman's secret identity. While Batgirl confronts Harley, Batman has a showdown with his nemesis that results in Joker's life ending in the process. A pitiful scene with a tearful Robin follows, and the death of one of the worst villains in fiction gets one visualization. 8. 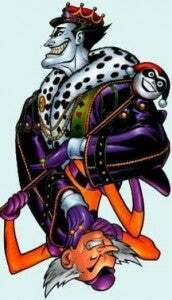 Joker Gains the Power of Mister Mxyzptlk in Emperor Joker: It can be easy to forget at times that Joker is, after all is said and done, a mortal human being with no known superpowers. However, that quickly changed once he tricked odd Superman villain Mister Mxyzptlk into giving him control of his reality warping powers. In no time at all, Joker had remade the world in his demented image, which consisted of Superman being a permanent resident of Arkham Asylum, as well as some other twists on the reality as we know it. The genius of this story arc though comes from the writing, and the way in which the Dark Knight is used in Joker's new world order. It's considered now to be one of the classic story arcs of modern memory, and it's also a fascinating look at just how far the Joker's obsession with Batman haunts him, even in a world of his own creation. This story showed the Joker go toe to toe with Superman, and the writing and art were complex and layered enough to give the Joker another layer of depth to his psyche. 7. The Joker Gets His Own Comic Book Series: There's no greater testament to a character's staying power or marketability than a headlining feature. In 1975 The Joker got that with his own nine-issue series, during which he faced the likes of Catwoman, Green Arrow and Scarecrow. Villains getting their own solo series was unheard of, and this short series has been an interesting collectible title today. What makes this series significant, besides the villain being the protagonist, is the fact that it came on the heels of the celebrated return of Batman and his villains to the dark days of their origins, thanks to Neal Adams and Dennis O'Neil, who shepherded the direction of the Batman world back to those roots. Exploring villains more directly and with detail is common today, with series such as Secret Six, Thunderbolts and Deathstroke having their own avid fan bases, but it's safe to say that Joker's series was one of the first. 6. 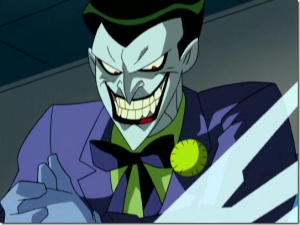 Mark Hamill's Joker in Batman: The Animated Series: Few comic book cartoon adaptations go on to be critically acclaimed and heralded as standouts in the genre, but that's just what B:TAS did in the 1990s. For over 80 episodes, the series provided noir, interesting episodes featuring a vast number of Batman's rogues gallery, none more famously perhaps than Mark Hamill's turn as The Joker. 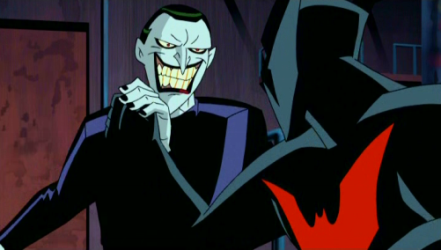 Hamill's portrayal of the clown prince of crime became a noted part of the series, from his maniacal laugh to his intonation and obvious enthusiasm for the character. The series also was the genesis for one of the most popular villains in the Batman mythos, Harley Quinn. This depiction of Joker couldn't have been as iconic as it was without Hamill's fantastic voice acting, and even to this day, Hamill's talent continues to impress legions of fans, even appearing in the hit video games Batman: Arkham Asylum and the recent sequel Arkham City. 5. Sarah Essen Gordon Dies at Joker's Hands Murder and loose morality have long been hallmarks of The Joker, but the death of Jim Gordon's wife Sarah in the pages of Detective Comics #741 is memorable for the cruelty with which it happens. After an earthquake rocks Gotham City in the "No Man's Land" storyline, Gotham was divided into pieces by criminal elements and destruction, and a year of chaos followed. Joker emerged towards the end of the story. After kidnapping dozens of babies from the remaining citizens of Gotham, heroes from all walks rush to stop him. Sarah finds him first. 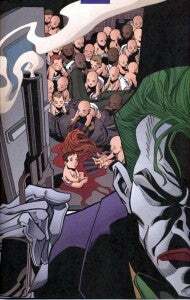 Never shy about confronting criminals as member of the GCPD, Gordon attempts to take down Joker when he throws a baby at her. Naturally, she drops her weapon to catch the child and Joker shoots her in the head. His later mockery of Jim Gordon's grief underscores yet another tragedy that Joker brought to Gordon, and captures one of the more chilling murders that the Joker ever committed. 4. 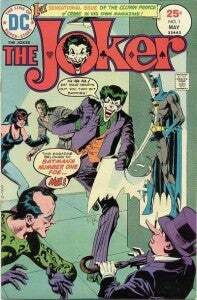 "The Joker's Five Way Revenge" Speaking of that celebrated run by O'Neil and Adams, this story kicked off the celebrated return of the Joker after several years of being out of circulation in the Batman family of comic books. 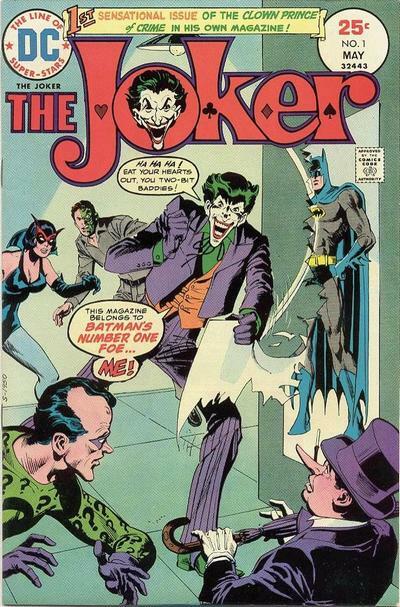 "The Joker's Five Way Revenge" started in Batman #251, ushering Joker into the Bronze Age with him back to his murderous ways, and giving us an iconic cover in the process. After several years of dealing with a "defanged" Joker in mediums such as the 1960's camp classic television show Batman, where he was depicted as a hapless prankster and a Comics Code that made all comics virtually childish, this return to the origins of the character from Batman #1 was a breath of fresh air and would usher in some of the more classic Joker stories to ever be told, such as the famous "Laughing Fish" story in which Joker tries to trademark fish with his famous smile. 3. The Dark Knight Earns Heath Ledger an Oscar for Joker Role Comic book movies aren't usually given much critical regard. That quickly changed with Australian actor Heath Ledger's portrayal of The Joker in 2008's blockbuster film The Dark Knight. 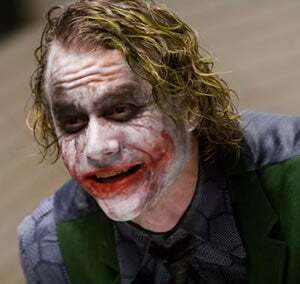 Ledger is unflinching in his depiction of the Joker, a performance that strips away any camp overtones people may have perceived in the character from the 1960s Cesar Romero performance in the Batman television series or Jack Nicholson's turn in Tim Burton's Batman film from earlier. Preparing for the role saw Ledger pour over seminal stories involving the Joker, establishing a dark and frightening antagonist. The knotty moral dilemmas presented in the film and the level of mayhem Joker causes were perhaps the truest depiction of the Joker to date. The fact that Ledger earned, sadly, a posthumous Oscar for his role speaks to the level of commitment he gave to his performance of a sadist whose origin in never explored or explained. 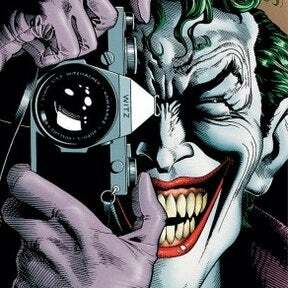 It also elevated the perception of The Joker to a level not quite seen before by the general public. 2. The Joker Shoots Barbara Gordon in "The Killing Joke" Few acts of villains have lasting, major impact that lasts for years to come. Though originally not intended to be part of the regular DC continuity, Alan Moore's The Killing Joke depicts The Joker at his worst, attempting to show Jim Gordon just what can happen when someone has just one bad day. In one the most shocking scenes in comic book history, Joker bursts into Gordon's home and shoots Barbara Gordon, Batgirl, through the spine, crippling her from the waist down. The villain then uses Barbara's naked body as photographic muse, hoping to torment Gordon further. Barbara would go on to become Oracle, super hacker for the superhero community, and many writers showed her still struggling with that act of brutality. She became a hero again in her own right, and now with the new DC universe, Barbara is back as Batgirl. However, that doesn't change one of the most indelible moments in both comic book history and the Joker's own mythos. 1. 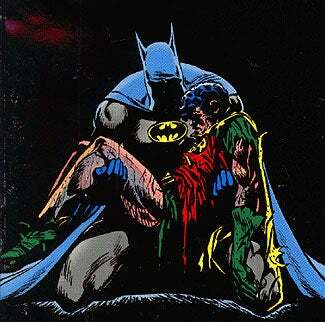 Robin Dies at the Hands of The Joker in "A Death in the Family" You may disagree with me, but looking at impact and resonance, this event tops even the events of The Killing Joke, but barely. This moment in Joker history takes the top spot because rarely in comics do you see the villain win in such a way that there is virtually nothing the hero can do about it. The story arc "A Death in the Family" was controversial for many reasons. It featured a new, brash Robin in Jason Todd, international politics with involvement of Iran in the story, The Joker and of course the infamous 1-900 number that fans could call to decide Jason's fate. Jason's brutal beating at the hands of The Joker, with a crowbar, is a wince-inducing exercise in torture. Desperate to find his real mother, Jason crosses the globe searching for her, only to have the Joker end it all with a devastating cruelty. Add diplomatic immunity and some apt dialogue about the eternal battle between Joker and Batman and you have one of the ultimate comic book stories of all time. While Todd's death has now been retconned, the event itself still stands as the rare example of evil scoring a major victory and the Joker taking something from Batman that no one else has been able to do.